I thought it was a corrupted install, but i reinstalled it and it keeps crashing. 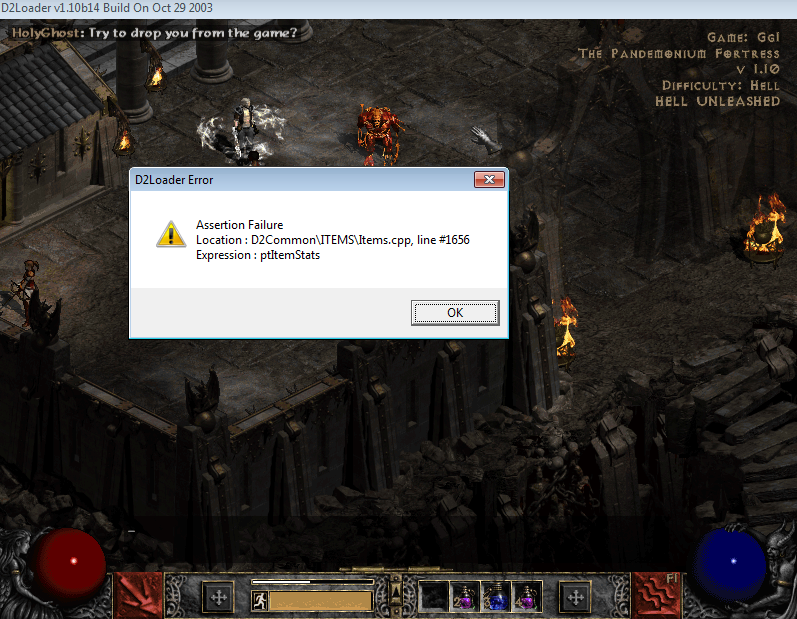 it says d2loader error, but it crashes even without d2loader ._. Are there any maphacks or other hacks attached to the loader ? I don't think so... when I put everything off and use the original HellUnleashed.bat, it still crashes. Thats an odd crash.. Never heard of the game crashing when a shard drops.. Has anyone else had this issue? ?